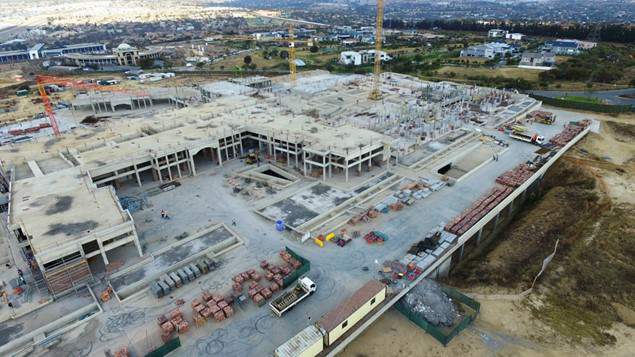 Apollo Brick is proud to be chosen as one of the main suppliers of an extensive construction project launched at Steyn City in Fourways. The durability and sustainability of clay brick was a key factor in the design of this multi-purpose, multi-story structure! Apollo Brick’s acclaimed NFX was chosen to build and fill structural columns due to its weight bearing qualities, high Mpa (29) as well as durability and sustainability. Apollo Brick is fully SHEQ compliant, meeting the requirements of the Steyn City board. Apollo has an average 99.7% compliance over the past four months. The project demonstrates that fired clay brick is the building method contractors can really rely on.